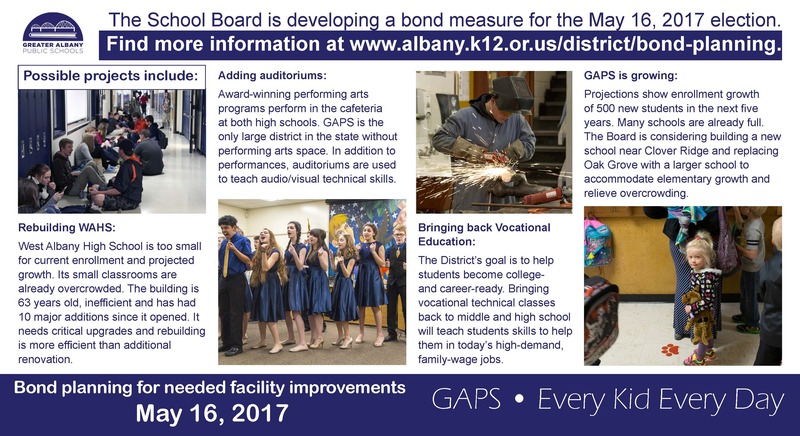 Last year, a community-based committee reviewed GAPS facility needs and made recommendations that may be part of a bond measure. The District Facilities Advisory Committee (DFAC), made up of parents, business leaders, educators and staff, toured facilities and identified projects that would improve the learning environment for students or extend the life of the buildings. They also studied projected needs based on new programs and growth. The School board is reviewing recommendations and options for a possible bond measure that will go before voters. They will seek community input before deciding the projects or date of a possible bond measure. See the committee recommendations below. Read more about the DFAC process. 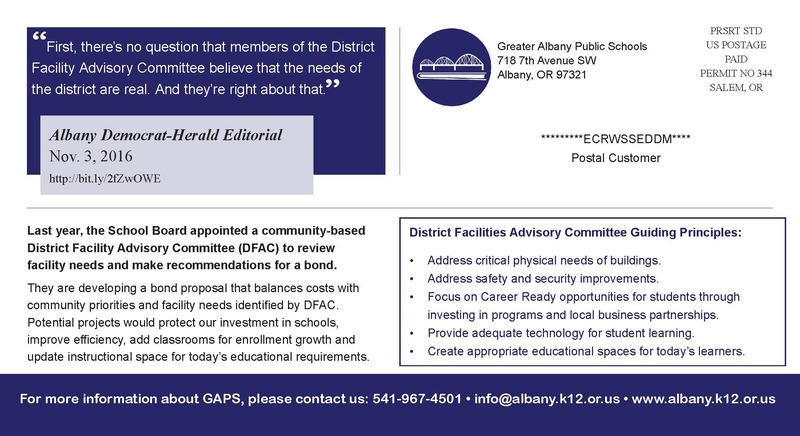 Read the DFAC report for more information. In October 2015, the District hosted four community forums to share information and listen to what people think.